To gain a proper understanding of the ecology requires an understanding of its spatial context. For example, a small tract of rangeland may limited ecological value if it is surrounded by development. 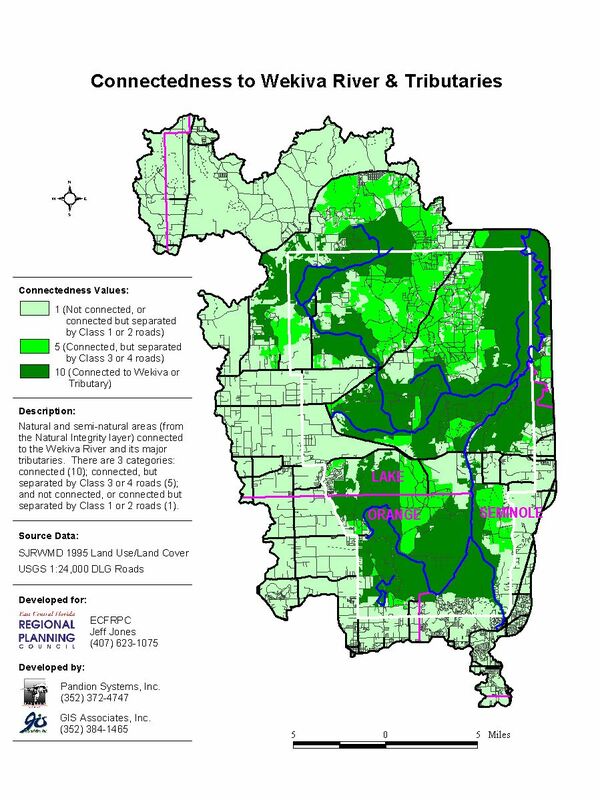 However, that same tract would have signifcant ecological value if it serves as a critical linkage in a greenway connecting important natural areas. GIS is an essential tool for properly understanding ecological value. Featured projects are listed below. For more information regarding our ecological modeling and study capabilities, please contact us. In a collaborative effort with Pandion Systems, GIS Associates is developing a habitat-based wind-wildlife collision model for the entire upper great plains region. GISA developed the GIS-based model using both Esri’s Spatial Analyst and Fragstats landscape analysis tools. Because the model area covers over 600,000 sq. miles, the processing time for Fragstats and other Spatial Analyst tools can be prohibitive. To address this, GISA developed a tiling system for the National Land Cover Dataset (NLCD) data to conduct simultaneous Fragstats moving window analysis on multiple processors. The input and output tiling systems preserved the integrity of the moving window analysis upon reassembly of the tiled outputs. GISA also developed several custom software applications to automate the creation of tiled inputs and the seamless reassembly of Fragstats landscape metric calculation outputs. Similar GIS techniques were developed for distance to water calculations for each NLCD data point as well as identification of data points within defined habitat buffers. In most cases, raster datasets such as the NLCD and National Elevation Dataset (NED) preserve a single continuous or categorical variable, so GISA utilized GIS techniques to preserve several unique variables in a single raster, facilitating interpretation and presentation of results. GISA’ extensive experience in building ecological models increased Fragstats native capabilities and productivity to efficiently develop coherent variable analyses results for a variety of variable habitat relationships. Examples of these indices are below. 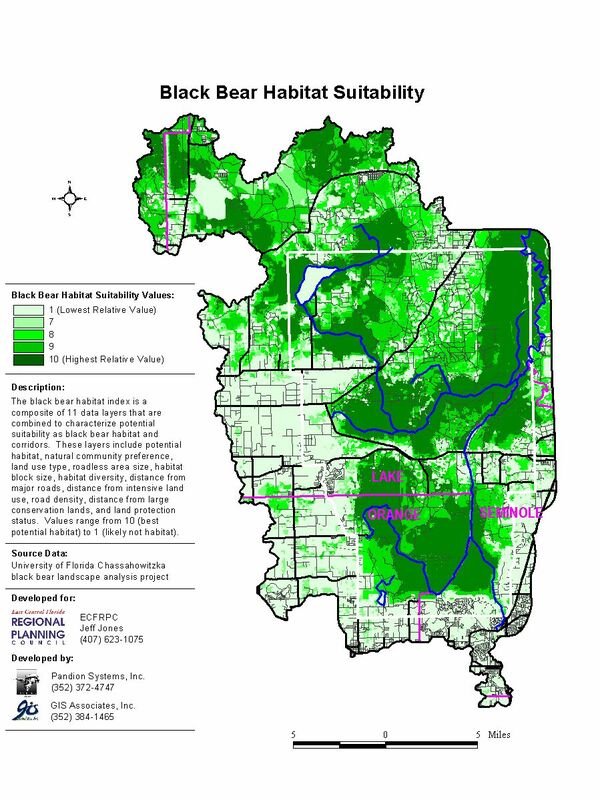 In a project for the University of Florida’s GeoPlan Center, a current member of GIS Associates staff developed an automated GIS model for the Florida Statewide System of Greenways and Trails. The staff member assimilated and analyzed extensive amount of environmental, physical, and cultural data, and created suitability surfaces to link ecological hubs and trailheads. The result was an integrated system of ecological corridors and human trails of various types. 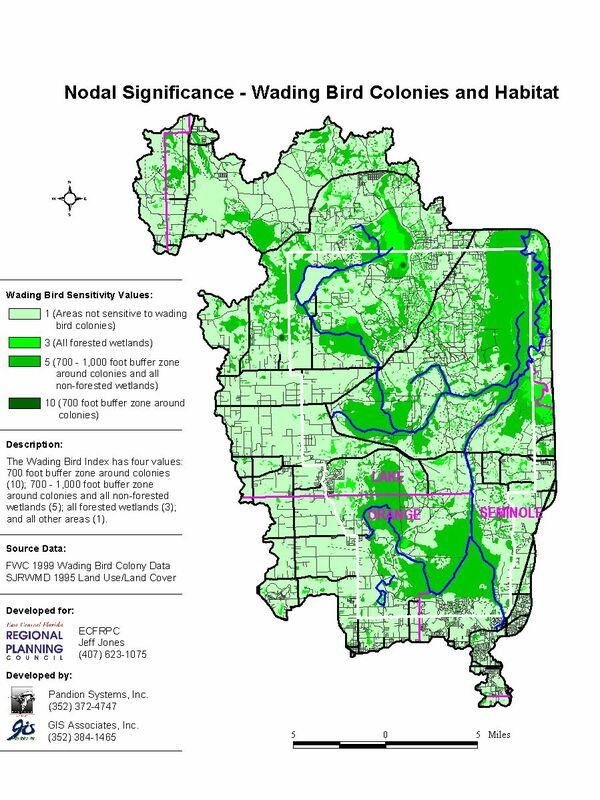 In a collaborative effort with Pandion Systems, GIS Associates created hybrid land cover GIS layers for 1992 and 2002 using a combination of South Florida Water Management District 1990 and 1995 land cover data and 2003 property parcel data from the County’s Property Appraiser. GISA calculated the statistical change by land cover type from 1992–2002, and helped evaluate the relative importance of the remaining natural areas using other ecological data. GISA created property owners database for the parcels intersecting the sites (for access permission and acquisition), and deployed GIS/GPS field survey system with customized ArcPad map-in-the-field software on PDAs. In a collaborative effort with Pandion Systems, GIS Associates developed a vegetative community map converting FLUCCS data to FNAI classifications (providing more detailed natural classes), which will be used for land acquisition and management and a myriad of other uses. GISA compiled and analyzed land cover and environmental data to identify suitable, representative areas for field surveys. GISA generated geostatistics of acreage by land cover type for the site and the county as a whole, and tax data for the parcels intersecting the sites (for access permission and acquisition). GISA developed and deployed a GIS/GPS field survey system with customized ArcPad map-in-the-field software on a PDA, and helped train field biologists in its use. In a collaborative effort with Pandion Systems, GIS Associates developed a customized GIS/GPS field data collection system using Esri’s ArcPad software. GISA trained and supported a field biologist mapping bathymetry data and submerged aquatic vegetation in spring run, performed the final topology-related data quality assurance and clean up, and interpolated continuous bathymetry surface from depth point and shoreline data. All Material © 2019 GIS Associates, Inc. All rights reserved.